In the development of brain-machine interfaces (BMI), operant conditioning of neural activity is a strategy that has recently re-emerged from the need to design BMI systems that feel natural and intuitive to the user. In this strategy, a single cortical neuron is conditioned to produce an activity pattern that determines when the BMI is triggered. 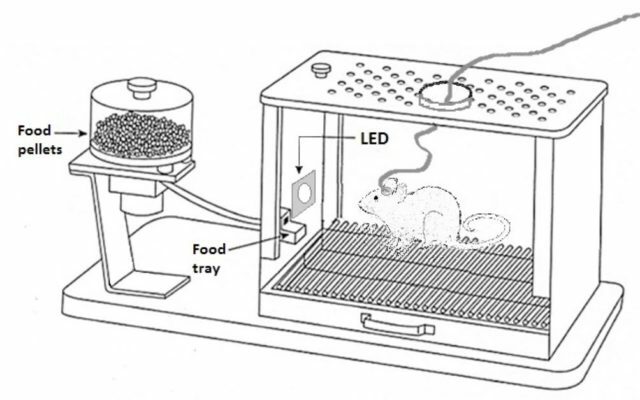 Rats are implanted with an electrode array in the neocortex (top Figure) and trained to trigger a reward dispenser by activating a single cortical neuron at progressively higher firing rates, resulting in a typical learning curve (bottom Figure). Neurons are then classified into subgroups based on their electrophysiological characteristics. 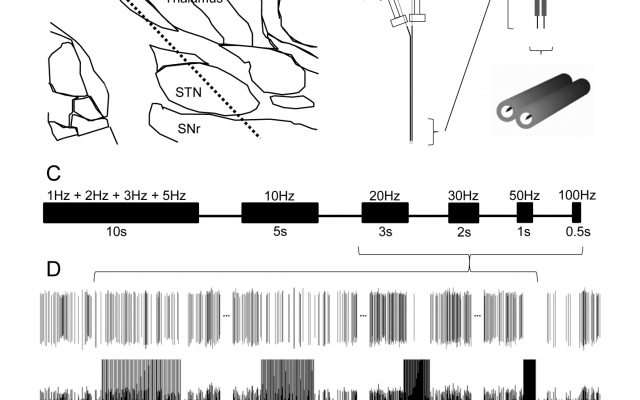 The purpose of this project is to find neurons that perform reliably in a given BMI task. 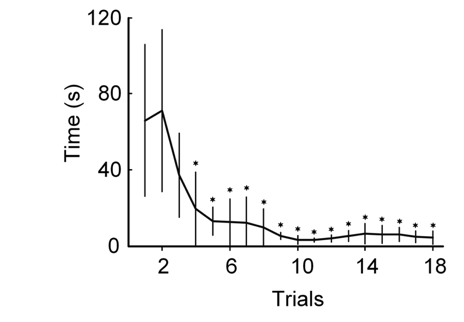 In addition, operant conditioning of single neuron activity facilitates BMI implementation and usability. M. G. Garcia-Garcia et al., “Neuron-Type-Specific Utility in a Brain-Machine Interface: a Pilot Study,” The Journal of Spinal Cord Medicine, vol. 0, no. 0, pp. 1–8, Sep. 2017. Deep brain stimulation (DBS) is an effective therapy for treating the motor symptoms of Parkinson’s disease, essential tremor, dystonia, and other movement disorders. 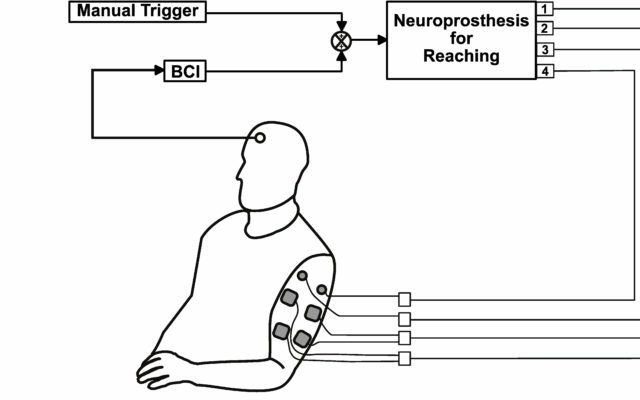 It consists of surgically implanting chronic, indwelling electrodes into specific target structures of the brain to deliver continuous electrical stimulation. The mechanisms of action of how DBS works are varied, complex, and remain unclear. The purpose of this study is to guide the advancement and optimization of this therapy, and also to broaden its applicability. 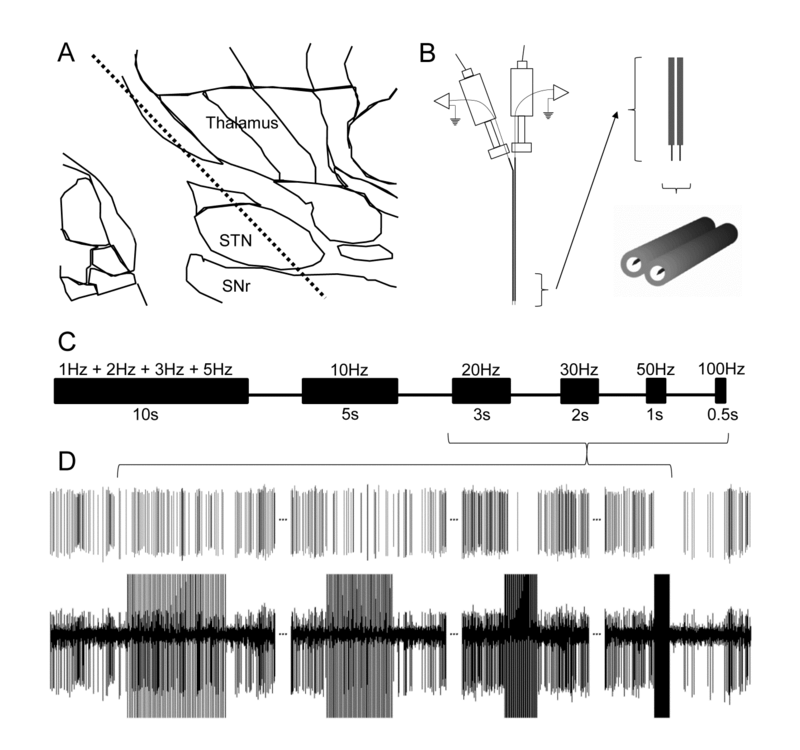 In awake surgical patients undergoing DBS implantation, we record activity from individual neurons in specific brain target structures, and can characterize their responses to electrical stimulation. 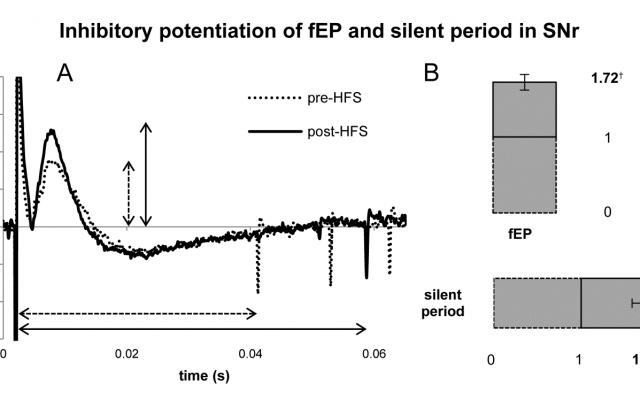 We have found that different brain structures have unique responses to stimulation that are dependent on their underlying anatomy and physiology, thus stimulation parameters cannot be programmed homogenously. 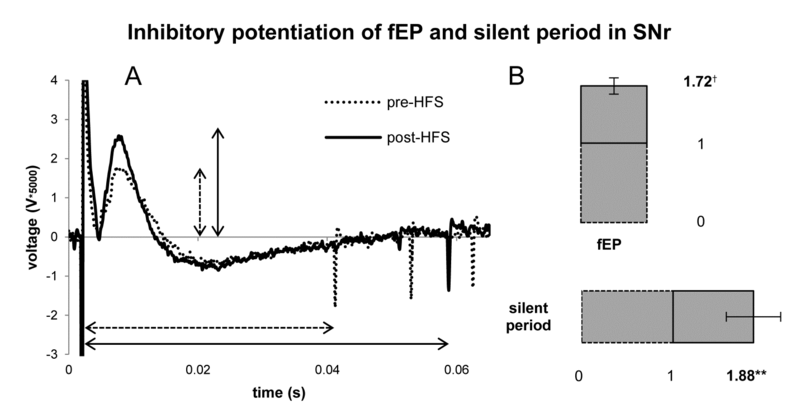 Additionally, we’ve found that an important mechanism of action of therapeutic, high-frequency stimulation is neurotransmitter depletion and we’ve also discovered that therapeutic levels of high-frequency stimulation enhance synaptic plasticity.